← Mikhail Allakhverdov (Misha) Denies He Was Tamerlan’s Teacher, FBI Agrees. Graham E. Fuller, former top CIA operative, confirms that his daughter was married to Ruslan Tsarni, uncle of Boston Bombers. 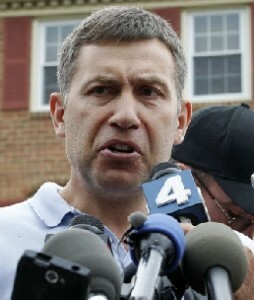 Note: Tsarni has changed his name at least once already, graduating from Duke Law in 1998 as Ruslan Tsarnaev. 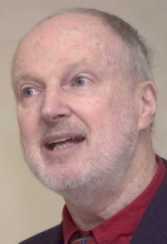 One of Graham Fuller’s books, Three Truths and a Lie: a memoir, mentions the day of his daughter’s wedding to Ruslan Tsarnaev (Tsarni). See Rozen’s full article here: Former CIA officer: ‘Absurd’ to link uncle of Boston suspects, Agency Rozen currently writes for al-Monitor with past stints at Politico and Yahoo News. 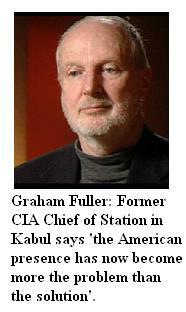 It is “absurd” to believe that Graham Fuller would ever be allowed to retire from CIA. He was Vice-Chair of National Intelligence Council, and as such was responsible for national level midterm and long-term strategic planning for the U.S. Intelligence Community. The Washington Post has reported that there are 1,271 government organizations and 1,931 private companies in 10,000 locations in the United States that are working on counterterrorism, homeland security, and intelligence, and that the intelligence community as a whole includes 854,000 people who hold top-secret clearances. Those top-level CIA guys never retire, except to cushy academic ‘jobs’ at Simon Fraser University in Vancouver, where Fuller ‘teaches’ and the CIA spied on anti-war profs in the 60 and 70s in an operation code-named “MH Chaos,” and maintains covert operations to this day. Top FBI, CIA and intelligence agents have buildings, airports and courthouses named after them, out of respect and out of fear. No accident that Graham’s son-in-law, Ruslan, lived across the border in Ferndale, WA for a spell.